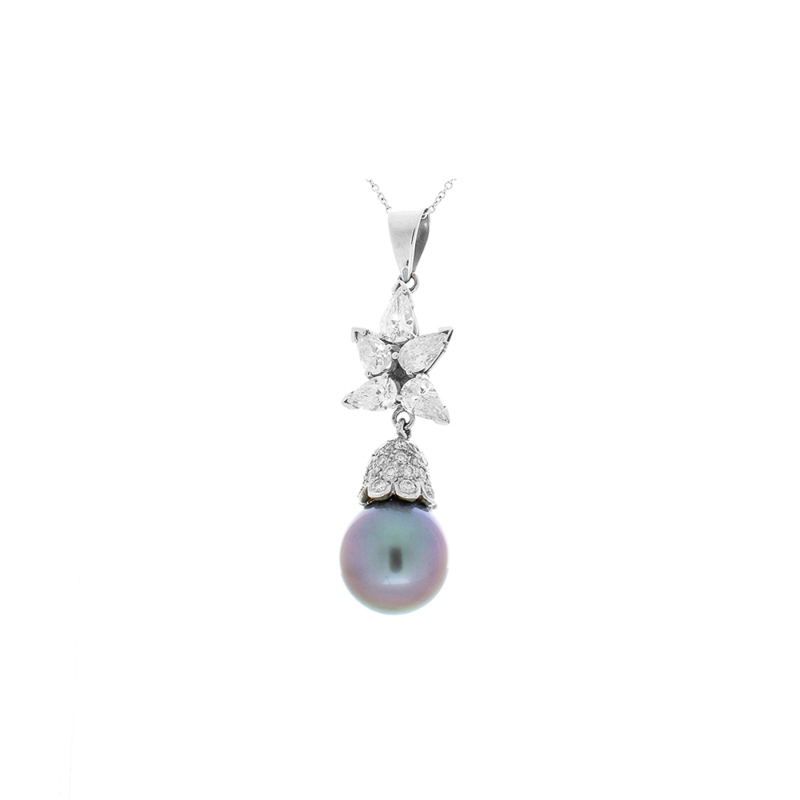 This 14 Karat Tahitian black pearl and diamond pendant will light up your life! A ravishing 12 mm black pearl from the depths of Tahitian waters, with incredible luster, is the star of the show. With its perfect shade of eggplant, its incredible beauty is enhanced by the spectacular diamond-adored cap and pear shape diamond accents. This piece is elegant and alluring, as it slides along the 14 Karat white gold Rolo chain. We must warn you, no one will be able to take their eyes off this vintage inspired heirloom quality piece of fine jewelry. We are confident that you'll be able to handle the attention though.